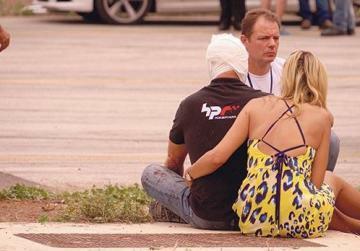 The magisterial inquiry into the Paqpaqli għall-Istrina car show incident was concluded in late January but, so far, only highlights of the main findings have been published. Ivan Martin had a closer look at parts of the 1,700-page report. The inquiry blames British businessman and multimillionaire Paul Bailey for what happened, saying he is to bear “the primary responsibility” for causing the supercar crash, which injured 23 people during the show in October 2015. It attributes “secondary responsibility” to the 11 volunteers who formed part of an ad hoc organisational committee operating under the auspices of the President. It highlights serious shortcomings in terms of the health and safety measures adopted. Mr Bailey, who owned and drove the Porsche 918 Spyder which ploughed into the public at speed, should probably never have been driving his supercar around the track. According to the report, the organisers had prepared a document detailing who could drive on the course, and this did not include Mr Bailey or his Porsche. A supercar, drivers and riders application form and liability statement mentions two vehicles suitable for using the track: a BMW M4 and a less powerful Porsche 991 GT3. In fact, the track had been designed for these cars. The report also says that according to members of the organising committee, Mr Bailey’s cars should have remained on static display. The primary cause of the accident was ultimately put down to excessive speed, lack of driver experience and human error. The report later adds that even Mr Bailey himself admitted to not having test run the track prior to getting behind the wheel and not being involved in designing the circuit. 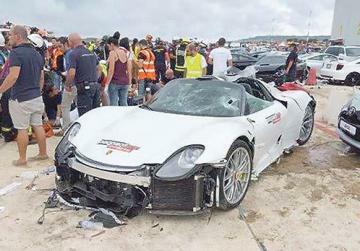 – The cost of damages sustained by a number of vehicles the Porsche Spyder 918 smashed into when its driver lost control. 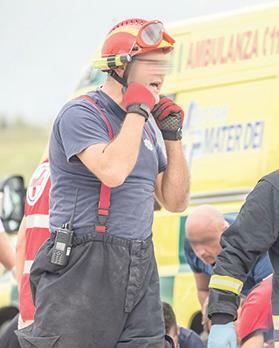 Doctors scrambled to save the life of one of the injured spectators when his heart stopped beating as he was receiving medical attention at Mater Dei Hospital. 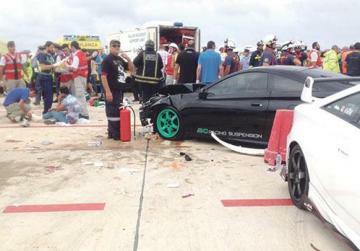 The inquiry report says that one grievously injured spectator, who was hit by the force of the supercar, was resuscitated by medical staff in intensive care. He was later released from hospital after undergoing surgery. A total of 23 people were injured. A six-year-old girl was among four people who were in critical condition in the hours and days that followed the crash. Mr Bailey also suffered grievous injuries, sustaining blunt force trauma to the head. Nineteen individuals examined by medical teams at the hospital were found to have suffered blunt trauma. Another one of the victims suffered what will most likely turn out to be permanent damage to the face. The report notes that, despite the lack of a contingency plan, Mater Dei was quick to react and went into major accident mode, reallocating resources to help deal with the influx of patients. 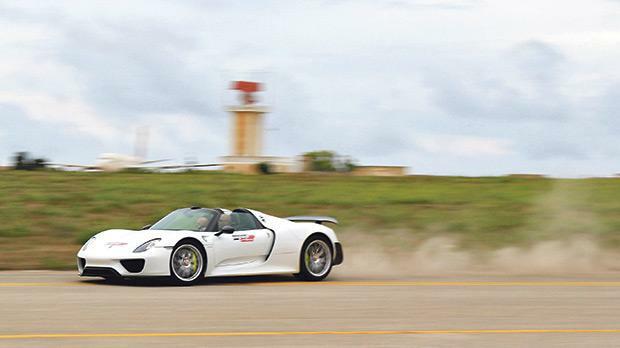 Experts from the Porsche offices in Germany flew to Malta to run simulations of the incident and, on the basis of video footage and evidence such as skid marks, determine what could have caused the car to spin out of control. The reconstruction was carried out after extensive forensic tests had been conducted on the car to ascertain whether the vehicle had come into contact with anything on the track that could have resulted in the driver losing control. 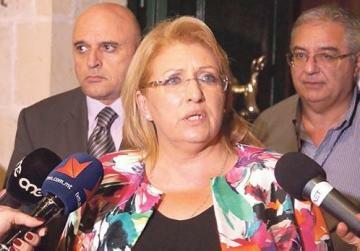 As previously reported, the inquiry absolves President Marie-Louise Coleiro Preca from responsibility. It notes that she had a representative on the organising committee. While the representative did not have an official role, he was responsible for informing the President of what was being discussed. He was also tasked with seeking the President’s assistance if required. 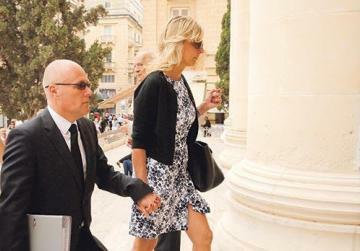 The report says that the name of the event changed from Paqpaqli to Paqpaqli għall-Istrina and it was organised under the auspices of her office. The inventory of items collected after the incident paints a surreal picture of what the scene looked like. Samples from pools of blood were taken by crime scene officers and a young girl’s shoes were found nearby. A motorsport fan’s Ferrari hat was caught in the steel railing close to where the Porsche 918 slammed into the crowd, and a woman’s shoes were found under the mangled white supercar. Human hair was discovered near the car’s exhaust pipe. Evidence showed that first aiders were working so fast to help the injured that they lost items of clothing. A costume jewellery bracelet was found in the grass where the ambulances were parked. It was later claimed by a member of the medical staff deployed to assist the injured. The inquiry found that the design of last year’s circuit was different from that of previous years and this could have also played a part in the incident. In previous years, the circuit was laid out so cars would set off from in front of the public and accelerate along the straight until reaching the end of the circuit. For safety reasons, the car would then return and pass in front of spectators at moderate speed. Last October’s edition of the event, however, saw cars pick up speed along a part of the track that was close to the public. Experts are quoted in the report saying that spectators were too close to the circuit and that they should have never been standing beside the track where the vehicle would usually pick up speed. The security barriers in place were not designed to block a car’s impact and were only meant to contain the public. Foreign experts involved in the design of the track told the inquiry that high speed displays using supercars were normally carried out in professional circuits with guardrails – structures meant to absorb vehicular impact and direct it away from spectators. Consisting of concrete barriers or metal steel rails, the guardrails would also often be paired with the laying of particular tarmac to help vehicles lose speed and special steel nets to protect spectators. None of these measures were introduced for the Paqpaqli show. The report is critical of the fact that no protective clothing or helmets were given to people who rode in the supercars against a donation. The lack of adequate signage was also flagged, with the report noting that no ‘brake’ or ‘slow down’ markings had been painted on the track.